Unlike laser scanners, the DataMan 50/60 series has a solid state design with no moving parts that can wear out and require replacement. Performance feedback enables users to analyze “no reads” either live on a monitor or through image archiving. 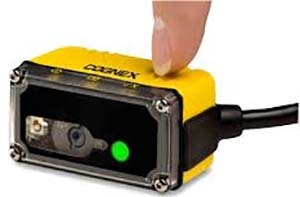 Advanced Control Solutions is a Cognex Dataman 50/60 distributor in Georgia, Tennessee, Alabama and Mississippi. We offer free evaluations and technical support to help our customers solve their applications.